Nothing is better than client’s appreciation on our work. 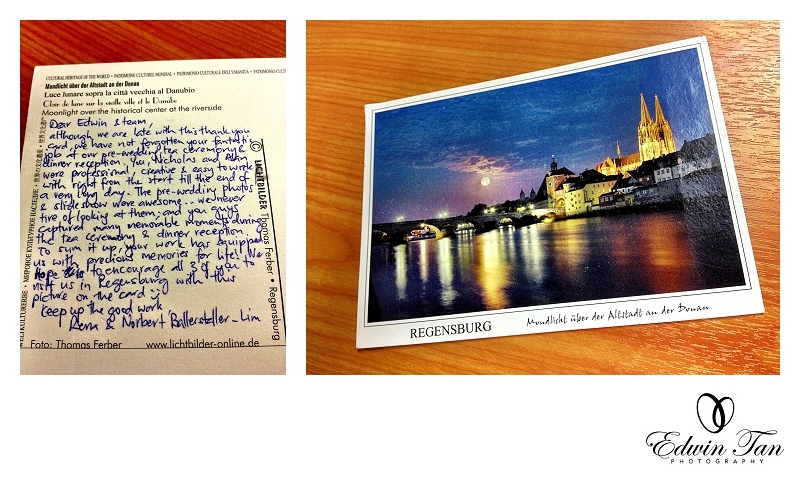 So sweet to receive a beautiful thank you postcard all the way from German. Thanks Rena and Norbert too for entrusting us as your wedding photographer at G-Hotel, Penang last year.